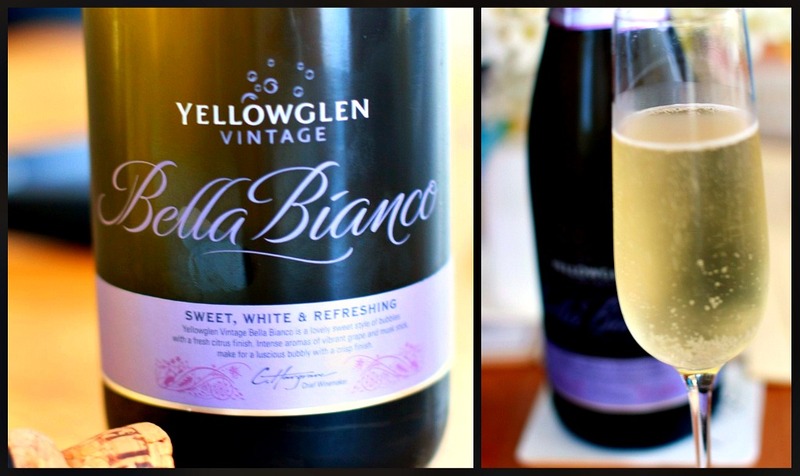 Bella Bianco is made by Chilly Hargrave with a low low alcohol content of 7.5%. This little guy like to bubble up in the champagne glass so be wary our you may end up wearing it! The nose is of semi baked apples, toast and oaked chardonnay and moscato notes. This champagne is very sweet with notes of lemon and limes. It’s very bubbly which adds a creamy texture. This may sound weird or obvious, but it tastes really like what you think grape juice tastes like – I know right! Who would have thought! It’s an extremely refreshing and easy drinking wine. Nothing special but very yummy all the same, escpecailly on a hot say, nicely chilled, over a sunday lunch. $10 well spent.